I’m about to tell you a big secret: Are you ready for it? I’m not sure I should tell you so early on in the game, but what the heck – you’ll figure it out pretty soon anyway…. 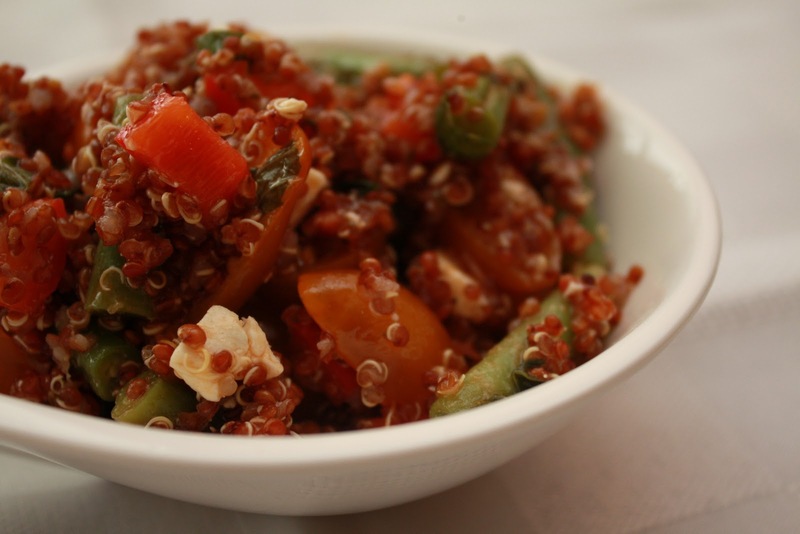 Here it is….You cannot screw up a Quinoa Salad Recipe! There. You have it. I professed my love of Quinoa in the first quinoa post…it’s such a great grain to cook with. And really – there are so many derivations and little things you can do to change it up. Below is one of my own creations. If you have a good dressing, you can throw in what you have (more or less) on hand. Toss ingredients all together and serve!